Written by admin on October 26th, 2014 April 21st, 2016 . The weather was great. A wonderful fall day. Unfortunately the rainy summer and great downpour days played havoc on the trail. Two bridges were uprooted. One by trees falling on it and another relocated on land. 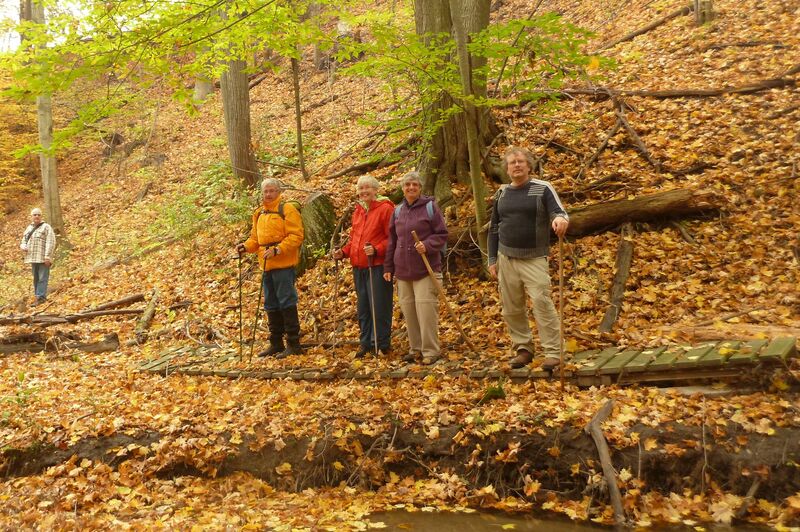 We managed to get to the fish hatchery and decided to finish the hike on Wednesday at 9 am meeting at parking lot east of Mackies for the final 4 km. Roseann and Linda are getting anxious for their badges. Special thanks go out to Robert Johnston and Dan Wilson volunteers at Lake Erie Salmon and Trout Club for reinstalling parts of the boardwalk that got washed out by the downpour in September. 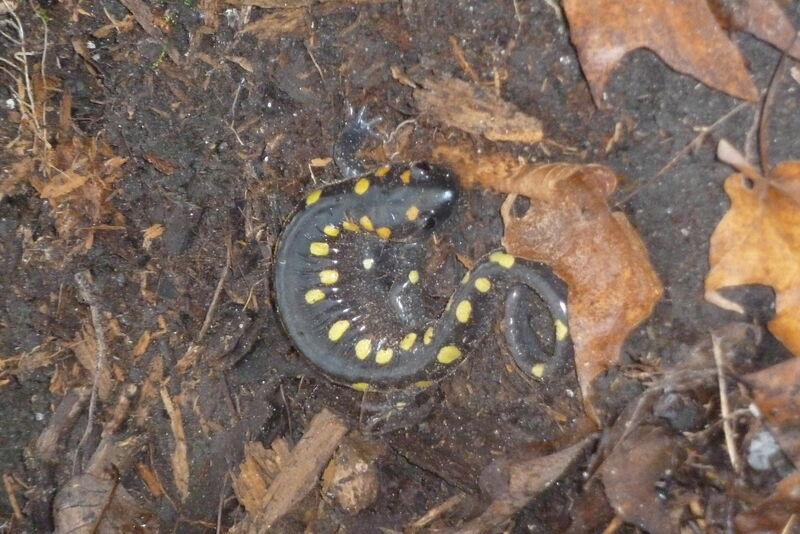 I spotted two spotted salamander on the hike. Notice the two spots behind eyes are more orange than the other spots.